“This is a real beauty!” — “One of the best projects we have ever done!” Just some of the wonderful feedback gratefully received for our latest projects in Paris’ Charles De Gaulle Airport and Orly Airports. 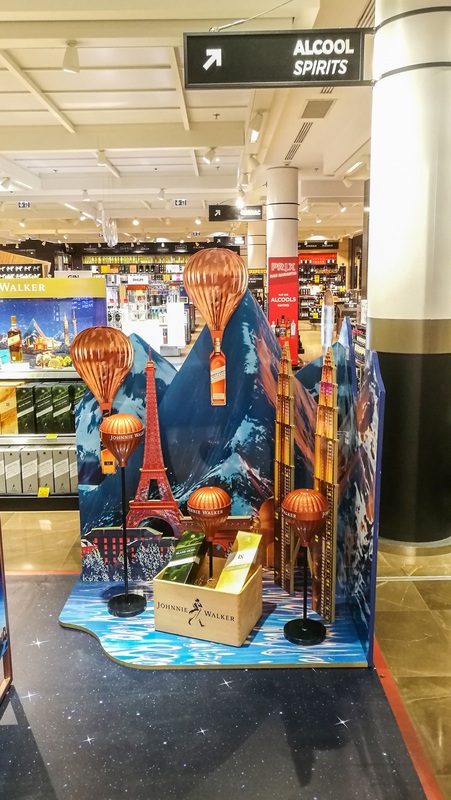 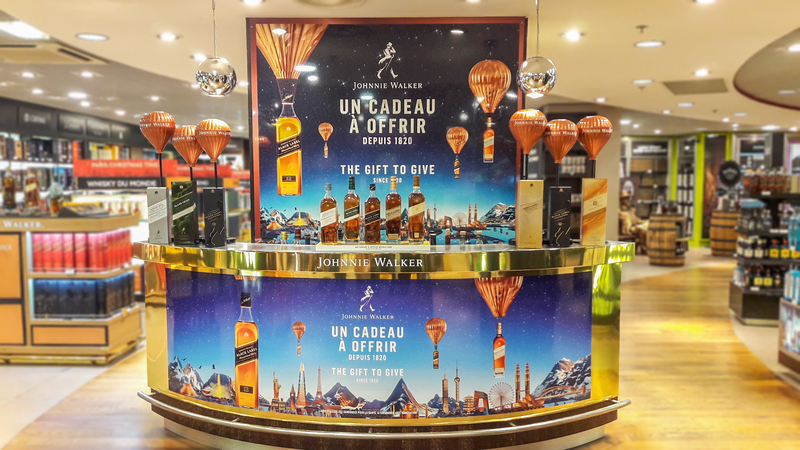 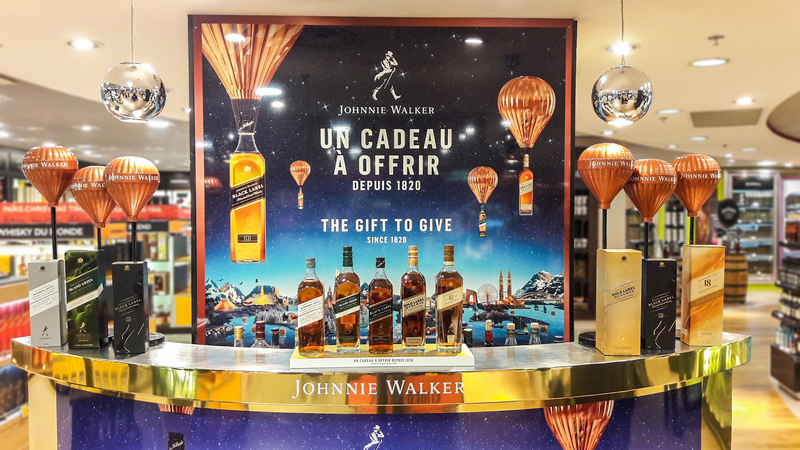 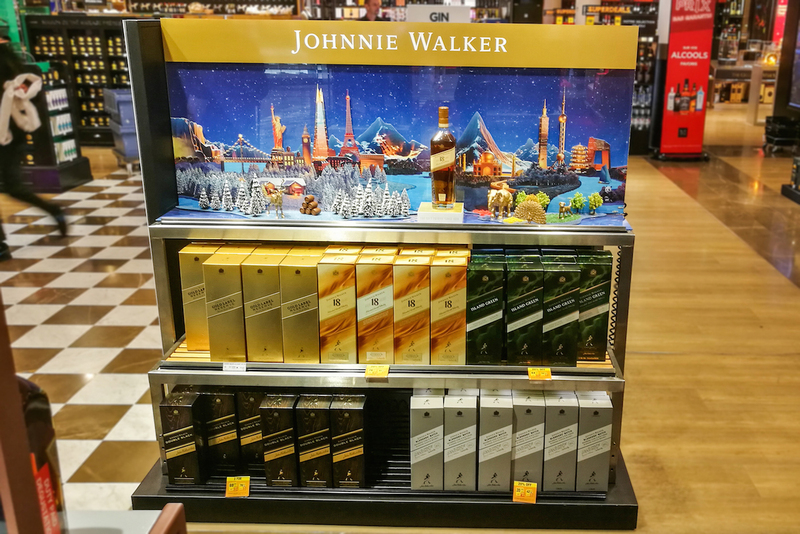 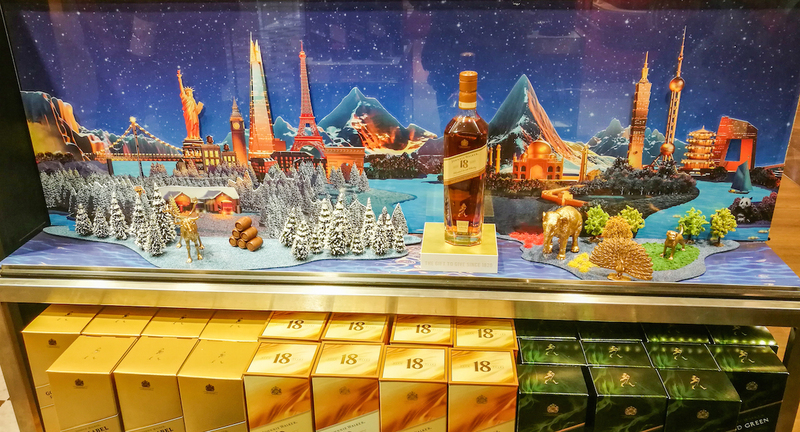 The Johnnie Walker Gifting campaign is in full swing and these latest activations in Paris CDG and Orly airports. 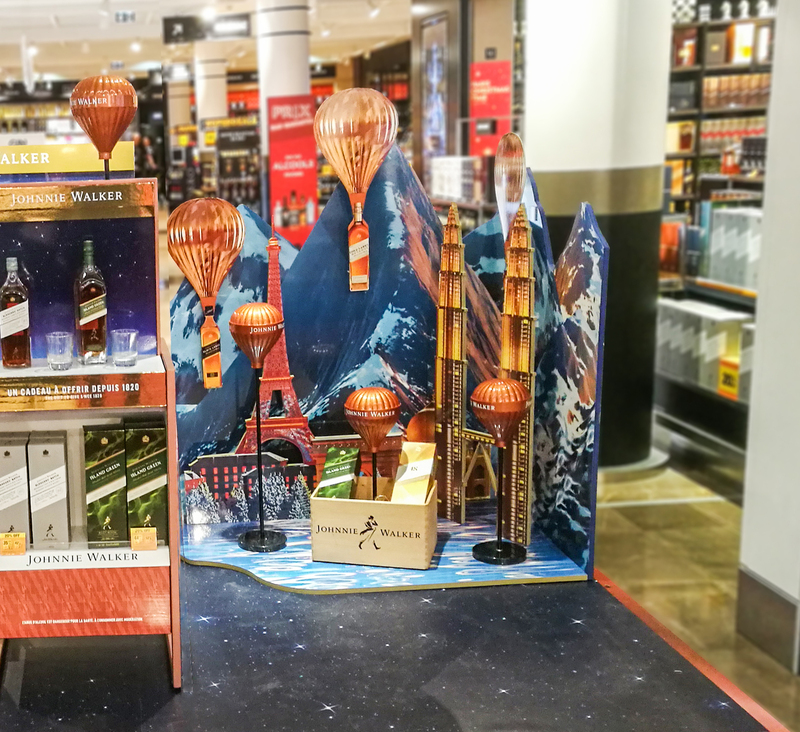 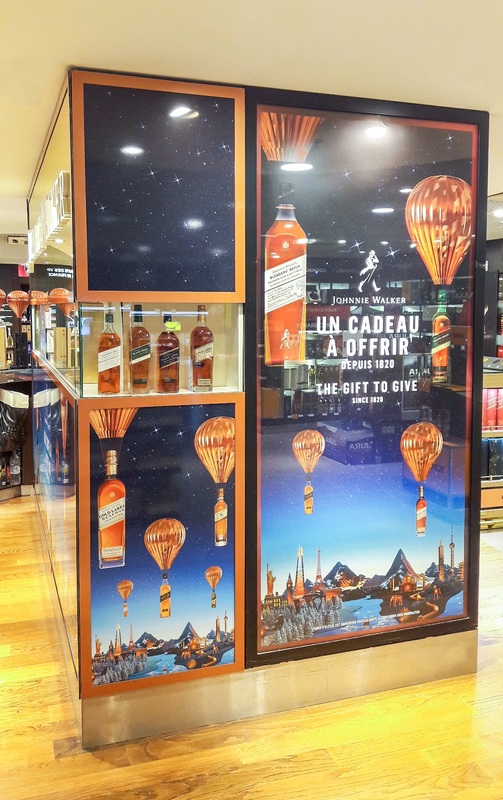 As with the previous JW Gifting activations in various locations these two projects feature the beautiful night blue skies, world famous landmarks and floating hot air balloons holding onto the prestige bottles of Johnnie Walker. 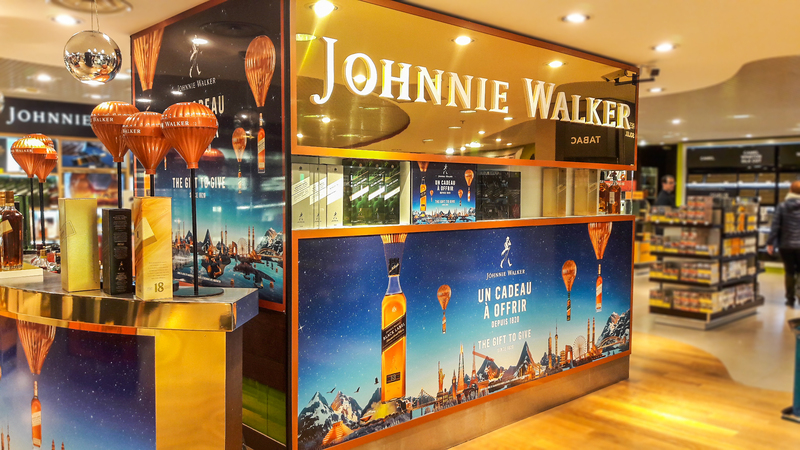 This perfectly suits the Orly tasting bar location, creating an exotic but festive atmosphere. 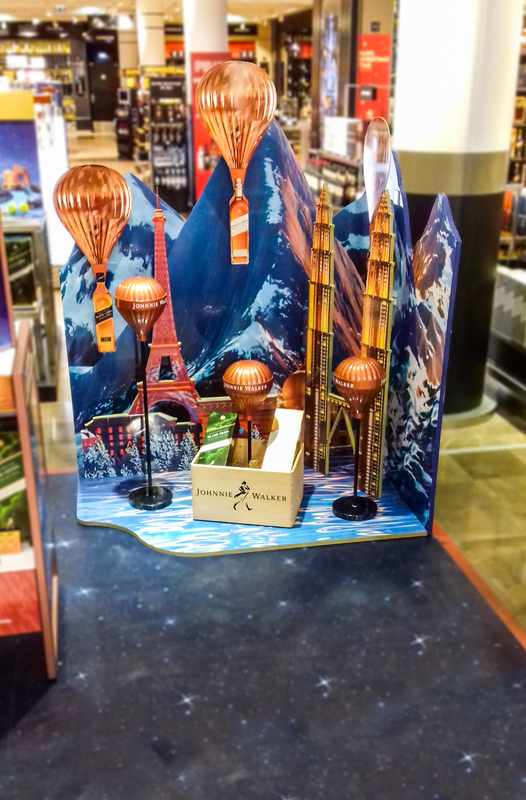 At the CDG locations the displays truly stand out with the use of 3D landmarks on the furniture not to mention the 3D displays with miniature models which really make the whole display pop!